Day three and still going strong. We both did our workout, ran a quarter mile, and came in well below our 1500 calorie goal. Lisa with 1305 calories and myself with 1365! 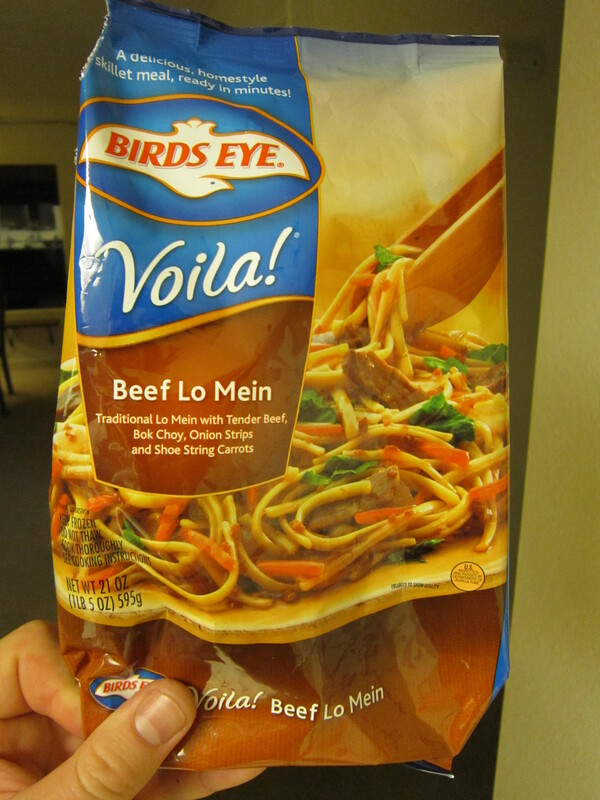 It wasn’t as bad as it sounds, because we really spaced our snacks out throughout the day and had a sensible dinner… Birds Eye “Viola” Beef Lo Mein!!! Not too shabby for frozen, and at only 345 calories for each of us, it allowed us to snack-out on some really nice “Pizza Wraps” and “Parmesan Popcorn”! This bag at 690 calories for 3 servings works well for a light dinner! 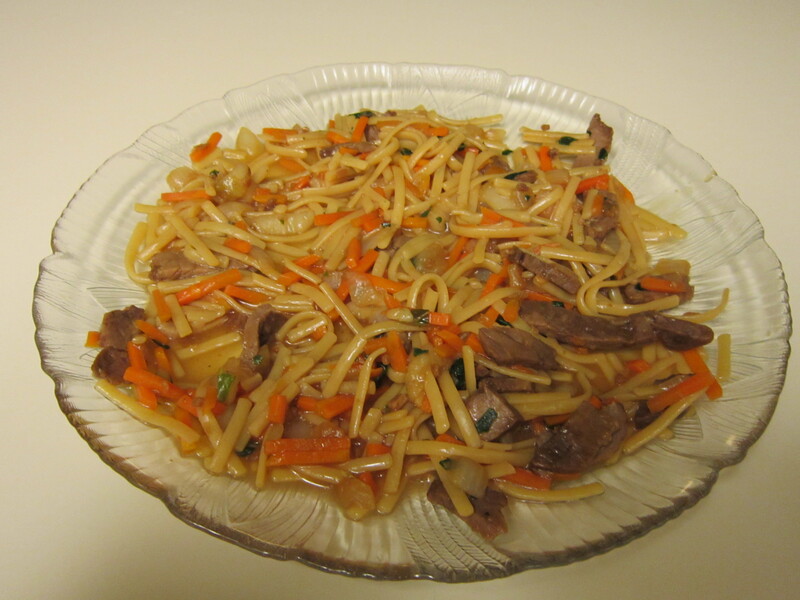 This entry was posted in Food Pictures and tagged beef lo mein, birds eye, chinese, diet, frozen, lo mein, parmesan popcorn, pizza wraps, viola by bigfacebrian. Bookmark the permalink.